Banana benefits the heart and improves nerve function. It also works as a natural antacid and mild laxative. Moreover, banana affects your mood and makes you feel relaxed. It is low in fat and rich in dietary fiber and phytonutrients. There are over 300 varieties of banana in the world. It is a healthy snack and considered particularly good for athletes as it helps sustain energy levels. Bananas contain plenty of carbohydrates but they are cholesterol-free and low in fat. Banana is native to the Indo-Malaysian region. It is primarily cultivated in India, China, Brazil, Philippines, Indonesia, Mexico, Thailand, Costa Rica and Colombia. It belongs to the Musaceae family. Eating bananas on a regular basis strengthens the immune system (because of vitamin B6) and regulates the bowel system. Plus, scientific studies suggest that this fruit lowers the risk of developing age-related macular degeneration. Banana benefits in controlling high blood pressure as it is high in potassium and low in sodium. In fact, in a recent study, researchers found that subjects who ate two bananas in a day for a full week reported 10% reduction in the blood pressure. Moreover, banana lowers the risk of heart disease and stroke. Regular consumption of bananas reduces the risk of breast cancer and renal cell carcinoma. This fruit is good for bone health and kidneys, too, as its high potassium content suppresses the excretion of calcium through urine. Plus, this fruit (when ripe) promotes healthy digestion and cures issues like indigestion, diarrhea, constipation, hyperacidity and heartburn. Banana is particularly good when dealing with gastrointestinal problems in case of children. Another benefit of banana is that it protects against stomach ulcers and damage caused by such ulcers because it neutralizes the acidity of gastric juices and builds a protective coating against stomach acids. Taking bananas along with a high fiber diet is useful in maintaining proper blood sugar levels in the body. Usually, under ripe bananas are considered better for people suffering from diabetes. Relieving menstrual cramps, reducing water retention, controlling morning sickness, and curing anemia are some other benefits of banana. Plus, banana is good for those who are trying to quit smoking because it helps the body recover from nicotine withdrawal effects. 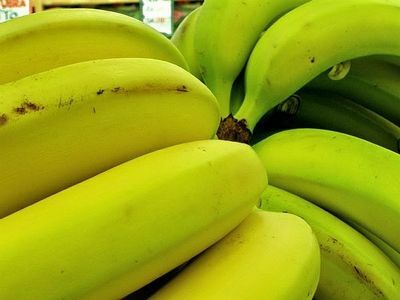 In terms of nutrition, banana is rich in vitamin A, vitamin B6, vitamin B12, vitamin C, dietary fiber, potassium, calcium, copper, phosphorus, iron, magnesium, sodium, and sulfur. Moreover, it contains thiamine, riboflavin, niacin, essential fatty acids, and antioxidants. It has a an amino acid called tryptophan that helps reduce depression and relieves symptoms like irritability and lack of sleep. • Mash a ripe banana with help of a folk, add a cup of milk in it, and consume it to get rid of indigestion. Taking this banana home remedy two to three times in a day helps cure piles. • Having a mashed banana mixed with one teaspoon each of tamarind pulp and salt is useful in getting rid of diarrhea. Children can be given a mixture of boiled white rice and mashed banana. • Regular consumption of a ripe banana benefits individuals suffering from constipation. Eating a banana after a meal relieves heartburn. • Being high in potassium and vitamin C, bananas play an important role in the natural treatment of gout. • When dealing with anemia, consume a mashed banana (ripe) mixed with a tablespoon of Indian gooseberry (amla) juice. • Prepare a mixture by half a cup of yogurt, a teaspoon of honey and a ripe, mashed banana in a cup of coconut water. Consume this mixture two times in a day to help in the treatment of tuberculosis. 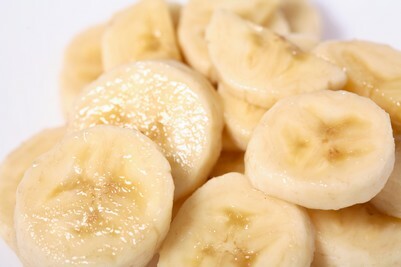 • Consume a mashed banana mixed with a tablespoon of honey is beneficial in healing ailments like typhoid and jaundice. Follow this therapy two times in a day for a few days. • Benefits of banana can also be derived by having banana stem juice about three times in a week in order to heal urinary tract infection. It helps dissolve kidney stones as well. Extract this juice from the soft inner white portion of a plantain bark. • Simply eating more bananas helps relieve PMS. Plus, it works as a natural mood enhancer. Consuming cooked banana flower along with yogurt works as a home medicine to reduce bleeding. 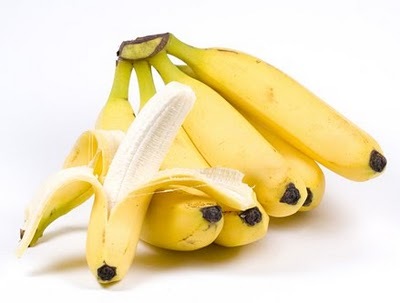 • Eating a ripe banana mixed with a quarter teaspoon of powdered black pepper is useful in getting rid of cough. Follow this therapy two to three times in a day. • Having banana milkshake sweetened with honey works as a wonderful home remedy for hangover. • When dealing with bed sores, spread honey on a banana leaf and lie on it for a few hours to cure the problem. You can follow this procedure for treating small pox, too. • Another benefit of banana is that the soft inner portion of its peel can be applied on skin overnight to heal warts naturally. You can use a surgical tape to hold the banana skin on the affected area. Follow this therapy daily for a couple of weeks. 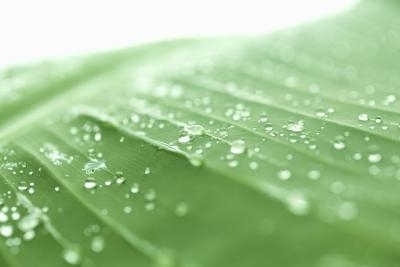 • Applying a fresh banana leaf on skin for a few hours is valuable in the natural treatment of boils and psoriasis. It relieves skin irritation, too. • Rubbing the inside of a banana peel on mosquito bites provides relief from symptoms like itching and inflammation. It can be applied to soothe poison ivy rashes as well. • Applying juice extracted from banana flowers or leaves is helpful in healing burns. You can also apply mashed banana and cover the affected area with betel leaves. • Massaging your face with mashed banana and washing it off after 15-20 minutes reduces wrinkles on skin. • Using a banana hair pack on scalp and hair can help you get rid of dry, damaged hair. Mix half a banana and half an avocado in a blender. Apply this thin paste on your hair and rinse it off after half an hour. You can also add a few tablespoons of yogurt and vitamin E oil in this hair pack. Here’s a video showing how to prepare a banana hair mask for frizzy hair. Unripe green tipped bananas are often used for cooking. Brown specked ones, on the other hand, can be used for baking breads, cookies, etc. Yellow bananas can be eaten as high calorie snacks or mixed in salads, shakes, smoothies, and so on. Ripe bananas can be stored in the refrigerator for up to two weeks as it prevents the fruit ripening further. On the downside, it makes the banana turn black. Interestingly, it is believed that eating food served on banana leaves helps avoid the risk of food poisoning and infection. Individuals suffering from latex allergy are likely to be allergic to bananas as well. Though banana benefits in curing a number of ailments still, excessive consumption of this fruit can cause indigestion.